As part of the Batman Day festivities, fans who visit participating retailers can receive the first chapter of BATMAN: WHITE KNIGHT, written and drawn by Sean Murphy, a month ahead of the collected edition release. The book will also feature a preview of another upcoming DC Black Label title BATMAN: DAMNED by Brian Azzarello and Lee Bermejo. Younger fans can pick up a free copy of the first chapter of BATMAN: A LOT OF LI’L GOTHAM. In addition to comic books, DC is providing retailers access to an assortment of additional offerings to help in the celebration of Batman Day, including a fun online activity kit. Comic Quest will have copies of most pages from the Batman Day activity kit which features pages to color, puzzles and much more fun for Batman fans. Wear a Batman character suit(super-hero or villain)and participate in out Batman Day costume contest. We will have at least two winners(one for heroes and one for villains) and who knows, we may expand the categories depending upon how many customers participate. At least two winners will get a 50.00 CQ gift certificate. 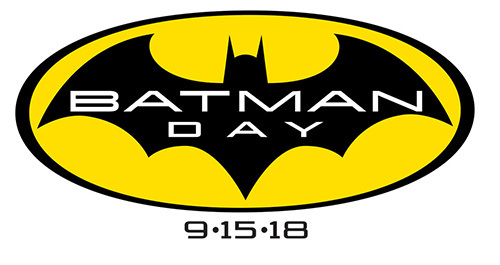 Come one, come all….to our 2018 Batman Day celebration!